Liz Fell interviews the Hon James Spigelman AC, chairman of the Australian Broadcasting Corporation. Previously, he was Chief Justice of the Supreme Court of NSW and Lieutenant Governor of NSW (1998-2011). Jim Spigelman The Hon James Spigelman AC was appointed in April 2012 as chairman of the Australian Broadcasting Corporation for a five-year term. Previously, he was Chief Justice of the Supreme Court of NSW and Lieutenant Governor of NSW (1998-2011). Spigelman was admitted to the NSW Bar in 1976, and appointed a Queen?s Counsel (QC) in 1986. 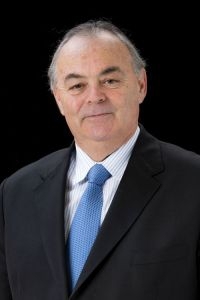 He has served on the boards of a wide range of cultural institutions including: chairman, National Library of Australia (2010-2012); member/chairman, Australian Film Finance Corp (1988-1992); member/deputy chairman, Art Gallery of New South Wales (1980-1988); and president, Museum of Applied Arts and Sciences (1995-98). When a Labor government with Gough Whitlam as Prime Minister was elected in 1972, Spigelman became Whitlam?s Senior Adviser and Principal Private Secretary. He was appointed Secretary of the Department of the Media in 1975, and was moved to the Australian Law Reform Commission in 1976 after the Fraser government was elected. Spigelman gained a Bachelor of Arts degree in 1967 (Government and Economics Honours) followed by a Bachelor of Law degree in 1971 (First Class Honours and the University Medal). In 1969, he became President of the Students? Representative Council, and a Student Fellow of the University Senate. He received a Doctor of Laws (honoris causa) from the University of Sydney in 2004 and a Doctor of Letters (honoris causa) from Macquarie University in 2012. In 2000, he was awarded the Companion of the Order of Australia (AC) for services to law and to the community in bringing about changes in attitudes to the administration of justice for a more fair and equitable society, and the support of visual arts. His books include Secrecy: political censorship in Australia (1972); The nuclear barons (with Peter Pringle, 1981); Becket & Henry: The Becket lectures (2004); Statutory interpretation and human rights (2008); and Speeches of a Chief Justice: James Spigelman 1998-2008, edited by Tim Castle (2008). Freelance journalist Liz Fell interviewed Spigelman for the TJA in his ABC office at Ultimo in Sydney in late January. The interview text has been lightly edited. TJA: Thanks for giving up your precious time for this interview. As I researched your career, I became fascinated by your personal journey from political activism to contributions as a public intellectual. Do you agree with those terms? Spigelman: I haven?t been a political activist for well over 30 years, closer to 40 years, depending on how you define the term. Public intellectual, perhaps. It?s not a label I?ve used myself I think, but I?ve made a series of contributions to public debate both in speeches and in published works. TJA: Indeed, you still comment and raise questions in public debates. Spigelman: Yes, I continue to do that. TJA: For instance, one of your recent public contributions was to comment on the Federal government?s proposal to include ?offend? in the definition of discrimination. Spigelman: Yes, that?s the most recent contribution I?ve made. In some respects, that represents the hat that I?m wearing in that the ABC has a strong interest in any form of regulation of speech, but obviously it isn?t based only on that. It?s based on my own background and speaking on human rights even before I became chairman of the ABC. TJA: When did your interest in human rights begin? I?ve read that you started a China Society at Sydney Boys High School to counter prejudice of Chinese students. Spigelman: That was my first political activity! There was an American exchange student, and the headmaster of the time set up a committee to help him, to make sure he had billets and was entertained by all kinds of families. The school also had a dozen or more Colombo Plan students from various parts of Asia ? they weren?t just Chinese, though the majority would have been ethnically Chinese ? so I went to the headmaster and said, ?You?ve never done anything like this for them,? and he allowed me and some teachers to set up a committee to do the same sort of thing. That was my very first act of political involvement. TJA: At the University of Sydney in the mid-1960s you joined the Freedom Ride led by Charles Perkins to highlight the racism and segregation of aboriginal people in country towns. Spigelman: Yes. I got involved in the Freedom Ride partly because Charlie Perkins and I used to sit next to one another in Government 1 classes! TJA: And I taught him in Psychology 1 classes! Were you involved in student activity opposing conscription and the Vietnam War? Spigelman: Oh, yes, the SRC [Students? Representative Council] organised anti-conscription demonstrations. That started before I became President, but continued, and there was a bail function. The most interesting experience was when the Russians invaded Czechoslovakia in 1968, and there was to be a demonstration. I was asked about how much money we should take out of the bank for the demonstration, and I said, ?We won?t need it. No-one will get arrested at an anti-communist demonstration.? Well, I was quite wrong. Quite a number of people climbed a wall of the Polish consulate, and we didn?t have any money! But it was the night of the dinner of the Vice-Chancellors? conference of the British Commonwealth at the old Trocadero, and so we got our Vice Chancellor, Bruce Williams, to take myself and the SRC secretary, Joe Skrzynski ? now chair of the SBS ? around the Vice Chancellors of the British Commonwealth asking them for cash! We raised a few thousand dollars that night, bailed out the students, and repaid the Vice Chancellors the next day. TJA: That must have been a ?heady? period! Spigelman: Yes, in those days I was a political activist. TJA: And at this stage you also wrote a book titled, Secrecy: political censorship in Australia? Spigelman: Yes, that was important for the Whitlam government?s election campaign. It led to Whitlam, in his 1972 policy speech, promising a Freedom of Information Act, and it directly led to a committee of which I was a member, drafting the Act. It wasn?t finished at that stage, but I remember that the first time anyone advocated a Freedom of Information Act in Australia was when I gave a speech at the Australian Institute of Political Science Summer School in Canberra. And the person who opened the discussion criticising my idea was the then Minister of Defence, Malcolm Fraser. Eventually, it was taken up by Bob Ellicott when he was Attorney-General, so the first Freedom of Information Act was passed under the Fraser government! TJA: Was the use of the term ?political censorship? in the title thought out carefully? Spigelman: Oh, at that age you don?t carefully think out titles. It was an activist title, let?s put it that way. TJA: And as an activist, were you enthused by Labor?s quest for government after some 23 years ?in the wilderness? and the ?It?s Time? election campaign? Spigelman: That?s right. This was a political book, and it was intended to be. TJA: So when Whitlam won the Federal election in 1972 you became his Senior Adviser and Principal Private Secretary? Spigelman: Yes. At first, I was number two in Gough?s office and Peter Wilenski was his Principal Private Secretary. TJA: I have read that the parliamentary offices for you and Peter were located in what Whitlam dubbed ?the Polish corridor? because you both came from Polish backgrounds! Spigelman: That?s right. Peter left just after the 1974 election, and that?s when I became Principal Private Secretary. TJA: Did you join Whitlam on his trip to China in 1971 before he became Prime Minister? Spigelman: I wasn?t on the first trip he made as Leader of the Opposition, but I went with him in ?74 when he visited as Prime Minister. That trip was pretty fascinating because the Gang of Four was still in control, and Zhou En-Lai had brought Deng Xiaoping out of house arrest the week before we arrived. Deng Xiaoping was our formal host, the person who took us to the Forbidden City, the Temple of Heaven and so on, although the leader of the formal talks was Zhou En-Lai. That week, one week after Deng Xiaoping was brought out, was the beginning of the biggest transformation in China, a really important period. In retrospect, a crucial period. TJA: For you, the next step was in mid-1975 as the Secretary of the Department of Media under Dr Moss Cass as Minister. TJA: What were the major issues for that very short period because of the Whitlam dismissal in November? Spigelman:Well, the FM decision was made by then, namely, to introduce FM radio. For years, FM radio had been regarded as too difficult with spectrum issues, but that proved to be technically wrong. I remember bringing Brian White [former Macquarie journalist] into the Department, and appointing him to create SBS Radio, which he did. White negotiated the first allocation of SBS Radio time: how many hours for the Greek language? How many hours for Italian? How many hours for Croatians? And it was hard to change those times. It was a bit like the Church of the Holy Sepulchre in Jerusalem where whoever was there when it was first built had allocations of space, and the Protestants, who weren?t there at the time, had none. It?s changed from time to time, but it?s still a very hard thing to do. TJA: My memory, if it is correct, is that you were very involved with setting up SBS? Spigelman:I did that when I was on Whitlam?s staff. The people who were committed to it, against the reluctance of some members of the government, were myself and Al Grassby. We made sure it was created, obviously acting with the authority of the then Prime Minister, and when I got to the Department of the Media, it was a question of actually setting it up. TJA: As the Departmental Secretary, what other media issues were important? Spigelman:In the media area, probably the biggest change during that period was breaking open the radio spectrum with FM. Australian manufacturers, at that stage, used to make radio sets with the call sign for 2BL at one end and for 2SM at the other, and you didn?t expect any new radio stations to be on air. That all changed with the ability to use less spectrum. It was a big argument, and there were vested interests who didn?t want any new radio stations. TJA: Didn?t the introduction of cable TV surface at one stage? Spigelman:Not really, not yet. People talked about it but nothing happened much. TJA: Whitlam?s dismissal in November 1975 and the election win by the Fraser government must have been a complicated time for you. I think that at the beginning of 1976 you moved to the Australian Law Reform Commission? Spigelman:Yes, I worked there full-time for exactly one year. Bob Ellicott, who became Attorney General, basically said, ?I?ll find a use for him?. So there was a defamation reference, an insurance reference, things like that, and I wrote something for the Law Reform Commission about sanctions and remedies. But it was basically because I was a Permanent Head, and in those days Permanent Heads were permanent, and Secretaries of Departments couldn?t be sacked! Nobody was prepared to sack me because of the precedent it would form, but I did tell the incoming government at the outset that I was perfectly happy to remain a public servant, that I would wait a year, and if they didn?t find me something that I could do within the year, I would resign. As I understand what happened, nobody was prepared to have me (laughter) and, in the end, I did resign but I stayed on as a part-time member of the Law Reform Commission. Spigelman: For three years I travelled around the world writing a book on nuclear energy called The Nuclear Barons. TJA: Did you have your ?activist? hat on at this stage? Spigelman:No, it wasn?t a pro or anti book. It was a political history about the hydrogen bomb at first and then the political history becomes a history of electricity production. I never got into rockets and strategic theory and that sort of thing. I had a co-author who was a London Sunday Times journalist, and we got an advance which was as big as Norman Mailer?s advance to do the book. It took a long time to go around and interview people. TJA: Who was the generous publisher? Spigelman:Holt, Rinehart and Winston, a United States publisher! TJA: Meanwhile, when you began to practise as a barrister at the NSW bar in the 1980s, I think media law was one of your major interests? Spigelman:Yes, I had a very substantial practice in broadcasting. I think I appeared for and advised all of the major television stations on broadcast policy at some stage. TJA: Only the commercial stations? Spigelman:No, I did a lot of work for the ABC as well. I remember a series of internal issues, staffing issues and things like that, but I also represented the ABC in Lange, the political freedom of information case that went to the High Court. TJA: Did you represent News Limited in the Super League case? Spigelman: No, I was for the ?loyal? clubs, including my own club of South Sydney. I couldn?t possibly have taken a brief against them! TJA: What about the Network Ten hearings before the Australian Broadcasting Tribunal in the mid-1980s when Murdoch assumed American citizenship. I recall seeing you there at some stage! Spigelman:Yes, I was at the Tribunal for the hearings and other matters that flowed from that. Before Murdoch became an American citizen, I was a junior Counsel for the Ten Network in its renewal of licence applications in both Sydney and Melbourne and its radio station licence in Mareeba on the Atherton Tablelands. I had to go to Mareeba at least twice, maybe three times, to explain why it was that it hadn?t been sold etcetera, and that there wasn?t a problem. By that time I was a QC, but I had started off as a junior. In the hearing about Murdoch?s control, I represented a group called the Pemberley Trust, which was now controlling Channel Ten, and the issue was whether or not News Limited, and Rupert Murdoch in particular, continued to have some sort of indirect control. I was, as it were, on the News Limited side but representing a parallel interest in that area. In any event, the interest in the Pemberley Trust was sold on and so, in the end, there wasn?t a resolution of that hearing because it was unnecessary. TJA: Meanwhile, through your membership of the boards of various public cultural institutions, have you built up a body of knowledge about film and television financing and content? Spigelman:The most relevant one for the ABC was the Film Finance Corporation. TJA: That must have helped you understand where government funding for production went and what was seen as a good ?deal? etcetera. Spigelman:Well, I understood more. I had been on the Film and Television School board which was ex officio of my still being Secretary of the Department of Media. I just continued in that for some years, and didn?t resign when I stopped being in the Department. TJA: Your big career move was in 1998 as Chief Justice of the NSW Supreme Court where, during the 13 years there, you produced a large and fascinating body of writing. I?m no lawyer, but I found myself dipping into speeches on widely diverse content like psychology and domestic violence. I think there are about 180 speeches? Spigelman:Yes, 170 something. There are three volumes, and they?re all online as well. TJA: The speeches contain a substantial amount of historical research and I have read that history was regarded as a ?safe? area for you as Chief Justice. Is that a correct observation? Spigelman:That?s right. As Chief Justice, what you call ?activism? wasn?t an option! TJA: Well, you revealed your view on aboriginal land rights through a ?Welcome to Country? ceremony, and the judges sitting in the court apparently followed suit. Spigelman:We had a special ceremony on the 175th anniversary of the Supreme Court, and I invited Whitlam to speak on behalf of the bar and Howard, who was then Prime Minister, to speak on behalf of solicitors. The ceremony was unknown in public life at that stage, although it had happened. I had come across it first in a church, and so I decided that was a good idea. And you could have heard a pin drop. No-one knew what was happening other than the speakers! I cleared it with Whitlam, Howard and Carr [then NSW Premier], who all spoke, and with one of my judges, the President of the Court of Appeal, who knew. But no-one else in the room knew it was going to happen. Spigelman:The law is a wonderfully hierarchical institution: no-one complains to the Chief Justice! TJA: Do you miss the collegiality that went with the job of Chief Justice? Spigelman:I don?t miss the operations of the Supreme Court. I was there for 13 years. That?s enough! I made friends obviously, but it was a demanding routine and it?s very nice to be in control of your own time. TJA: Thinking of your early interest in cultural diversity and racism, I noticed your strategy to set up relationships with judges or courts in the Asian region, especially China. Was that a worthwhile exercise? Spigelman:Yes, I went to China as Chief Justice about five times, and sent eight or nine other delegations of my judges, usually tolecture at the national judicial college in Beijing, and that continues. At the end of my period, I had executed formal Memoranda of Understanding with three provincial high courts to continue the exchanges. I also organised and led the first judicial delegations to Japan and to India from Australia. It?s something I?m still doing. I was recently in Singapore at the invitation of the new Chief Justice to attend the opening of their legal year. That was a trip that was privately paid for by myself. It wasn?t part of the ABC in any way. TJA: Aren?t you involved in serving as a referee or conducting adjudications in other countries? Spigelman:Yes, I have become involved in international commercial arbitration. I?ve joined chambers in London where a lot of this arbitration is done, and I?ve conducted arbitrations in London and in Singapore and had a role in Canada. TJA: How is your ability to speak Chinese? Spigelman:Non-existent, but two of my children speak Chinese, and one is currently in Beijing studying medicine. TJA: Turning to the ABC, when you spoke at a conference staged by Ripe (Re-Visionary Interpretations of the Public Enterprise) last September, you suggested that, in some respects, the ?very concept of broadcasting? was ?under challenge?. Are you optimistic that free?to-air broadcasting will continue to survive? Spigelman:Well, obviously there is a major effort going on now to clear the analogue spectrum. That?s well advanced, the re-stack is going ahead, and the ABC has the money to do it. Whether or not it can all be done on the current timetable is a matter to be seen, but everyone is trying to do it on the timetable. It?s a major investment and, at the end of the day, the government expects to sell the spectrum. All of that is on the agenda. But that?s not the only issue. For free-to-air television there is no ?cliff? of the character of the loss of classified advertising that impacted so quickly on the print broadsheets but there is, nevertheless, a threat of slow erosion in commercial broadcasting and television. If you?re based on selling eyes or ears, as the eyes and ears go off to other places then you don?t have the same numbers, and slowly your revenue will be affected. TJA: You spoke also about new modes of delivery that enable listeners and viewers to arrange program schedules so they can access them when they choose, but don?t these new modes require payment by the public for bandwidth and/or access? Spigelman:That may be true, but the only honest answer is that no-one knows where this is going. There are all sorts of business models that have emerged in different areas, and some of them will work and some of them won?t. TJA: Do you expect that income differences will limit the options open to some viewers/listeners? Spigelman:One thing that we have which, I think, is a core and traditional policy in Australia, is universal access. That?s the difference between the diversity the ABC can provide in its various networks and, say, a Foxtel subscription system. Now that universal access is completely a gift of the government. Comparatively, it is now cheap to get the ABC through the airwaves. If you are accessing it via other devices, particularly mobile devices, then there is a charge to be paid to the telcos. I think it?s now got to the stage where 50 percent of access to iView is on mobile devices. That?s very quick. I mean, the iPad is only two years old and it?s taken over in so many areas because of its convenience! Only two, and it feels like it?s been here forever! TJA: In relation to business models, it is interesting to hear ABC radio programmers suggest the audience post their comments online with Facebook, a commercial media platform that delivers this audience to advertisers. Spigelman:I?m not on Facebook, but that?s its business model. It also delivers information to individuals and to groups of individuals. Spigelman:I don?t use Twitter. I?ve got other things to do with my time! Maybe I?m just set in my ways! TJA: You don?t follow some of the ABC twittererers? Spigelman: No. I know what Twitter does but I just don?t need to know things immediately. I prefer to have time to think. TJA: Has the ABC commissioned research on these social media? Spigelman:It?s interesting to see the comparative demographics. Radio National has struggled to get 10,000 Facebook friends but it is over that now, whereas Triple J has shot through 500,000. TJA: Moving to the controversial issue of a staff-elected member for the ABC board, what is happening there? Spigelman:It will happen next year some time. Spigelman:Sorry, this year. I?m not quite sure of the dates but the regulations are being made. It will be for five years. TJA: And the former staff-elected board directors will not be eligible to stand again. Is that correct? Spigelman:Yes. That?s in the statute. TJA: I asked several staff members whether they had ever talked with you about this or other issues and was told that there appears to be some sort of rule or regulation introduced under the Howard government that requires the managing director be present at the same time. Is that correct? Spigelman:There?s no such regulation. I?ve spoken directly to members of staff at an executive level, and I have met others at functions and had no inhibitions about talking to them. There is a board policy ? it?s not a regulation, and it may or may not have been adopted as a board policy during the Howard years, I don?t exactly know ? that individual directors should not communicate directly on policy matters without the CEO knowing or with his approval. I can?t remember the exact terminology, obviously, but it?s something of that kind. TJA: Do you ever wander into the coffee shop in this building? Spigelman: Yes. I have had chats with people in the coffee shop ? quite a number. I don?t go there very often for various reasons, mainly because of the quality of the coffee! But I have had numerous conversations with individual staff members at various ABC functions. TJA: I?m sure you hear complaints or comments about outsourcing and the ABC?s loss of in-house TV production. Spigelman:Yes, I?ve heard some comments of that character! TJA: Are you an ABC viewer or listener? Spigelman:I tend to record things and watch them later. I?m not a reality TV watcher so I don?t need to watch things live, except for sport! TJA: What about listening to radio? Spigelman: With radio, I listened to Classic FM and Radio National over the years. When I was at the court, I would listen to AM and PM virtually every day because I was travelling at those times. It?s a great format. TJA: What about when you are out of the country? Have you been watching Australia Network? Spigelman:Yes, I?ve watched it in a couple of places, particularly Hong Kong and Singapore. As I said, I was in Singapore a few weeks ago, and the comment I got most frequently from some expatriates and other locals who have had contact with Australia was, ?Can we please have News 24 too?? The main problem is that there are geo-blocking issues: namely, News 24 does show things from the BBC, for example. TJA: I assume that?s a copyright issue? TJA: What other observations have you made about the ABC? Spigelman:Well, I didn?t arrive with any agenda so, as I?m learning more, I?m making, perhaps, some suggestions. We have some big issues: the current one is the tri-funding of the ABC and responses to the Convergence Review. TJA: What about the current Senate committee inquiry on the ABC?s commitment to ?regional diversity? and ?increased centralisation of television production in Sydney and Melbourne?? Spigelman:That flowed from the decision to close Tasmanian production. The extent of production outside Sydney, Melbourne and Adelaide is a continuing issue because it?s about how much you do in-house and how much you do by way of contract with the independent sector. There is no right answer as to where the balance is drawn. TJA: When you talk about the ?independent sector? I assume you are talking about private companies or, as some would say, ?privatising? production? Spigelman:There is still major production work in-house, but the high-end drama is produced under contract. TJA: Is that all about funding shortages and budgets? Spigelman:It?s partly funding and budgets, but it?s also quality. You can gear up through external funding and produce a higher level of quality than you can produce internally. That doesn?t mean there aren?t shows that you can do internally. There are quite a number. TJA: Let?s not continue with the thorny debate on how quality is assessed! Can you explain briefly the impact for the ABC of the policy ideas arising from the Convergence Review and Finkelstein?s Independent Media Inquiry that are still awaiting a Government response. Spigelman:Well, as I understand it, the Government has had a process underway which will at some stage ? I don?t know exactly when ? reach a culmination. There will be some decisions made, but we don?t know the extent of those decisions, and it overlaps to some degree in terms of timing with our own tri-funding. We?ll have to just wait and see. But there?s no question that the Convergence Review, and before that the Finkelstein Inquiry, came up with a range of matters that are of interest to the ABC and that may affect our future trajectory. Obviously, also, they involve an impact on virtually every other sector of the media, so we?re all waiting for this to end: but it will end at some point! TJA: Well, who knows? Rupert Murdoch?s News Limited is not going to disappear tomorrow and his news media, especially The Australian, tend to target the ABC in a whole variety of ways. Spigelman:Yes, it sometimes becomes quite amusing! TJA: You don?t bother to put pen to paper or respond? Spigelman:No, but I may one day. TJA: A touch of activism, perhaps? Clearly, you are fascinated with the changing media environment. Spigelman:Yes, and part of the fascination of being involved in the media at this stage is the quite radical changes that we?re going through, in that you cannot predict what?s down the track a few months beforehand. As I said a few moments ago, the fact that the iPad is only two years old is amazing! Cite this article as: Fell, Liz. 2013. ?From political activist to public intellectual: Interview with ABC Chairman, Jim Spigelman?. Telecommunications Journal of Australia 63 (1): 2.1-2.9. Available from: http://tja.org.au. Liz Fell. 2013. From political activist to public intellectual: Interview with ABC Chairman, Jim Spigelman. Telecommunications Journal of Australia, Vol 63, No 1, Article 420. http://doi.org/10.7790/tja.v63i1.420. Published by the Telecommunications Society of Australia and Swinburne University.